Just a follow on from yesterday's post where I spent an enjoyable evening making some Christmas gift card holders using Stampin' Up's gift card enclosure pack, here is what I came up with for my niece's birthday. I used some Moonlight DSP for his body and Lost Lagoon and Tangelo Twist for the rest of him. I made a matching envelope (not quite sure why the pattern didn't line up straight as I definitely cut it straight) and then added a little owl stamp from 'A Fitting Occasion'. 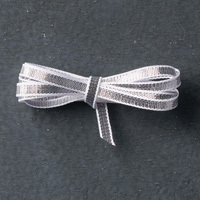 I like using the silver ribbon as it ties into a bow easily which I like as I am REALLY bad at tying ribbons!